Did you have to get mortgage insurance (MI) when you purchased your home and now want to get rid of it? There is a way to do this if you’re still paying this extra cost as part of your monthly mortgage payments. If you recall, MI is for buyers who don’t have 20% to put down, so lenders require this extra payment to protect them in case you default on your loan. It’s not ideal but it is a way for you to still purchase a home without having a large down payment. There were several ways you could have handled the payment of this mortgage insurance when you initially bought your home: You could have paid the cost upfront in cash, which increased your closing costs; rolled it into your loan, which increased your interest rate slightly; or made it a part of your monthly payment. For those of you who chose to pay it monthly, you can get rid of your monthly MI payments after a certain time period. If you have a conventional loan on a primary residence, the Homeowners Protection Act (HPA) of 1998 protects YOU if you closed on your home after July 29, 1999. It provides a way for borrowers to request MI cancellation and for lenders to be required by law to cancel it. The date in which your loan balance is first scheduled to reach 80% of the home’s original appraised value, based solely on the initial amortization schedule, regardless of the outstanding balance of the loan. The date your loan balance actually reaches 80% of the original value based on an increase in your home’s value and/or a reduction in your loan amount. In order to make either request, you must meet certain requirements first: be current on your payments and have a good payment history; demonstrate with an appraisal that your property has not declined in value; and no other liens (or other loans such as home equity loan or line) exist against your property. Your lender is not legally required to do this at the 80% level but they must respond to your request within a reasonable timeframe. Always check with your lender on any specific requirements since procedures can vary by lender and state. According to the law, your lender must automatically cancel your MI policy on the date that your loan balance is first scheduled to reach 78% of the original value. This is regardless of your outstanding balance on the loan. This date is based solely on the initial amortization schedule you received from your lender on the closing. Remember, if you closed before July 29, 1999, your lender does not have to abide by this law. 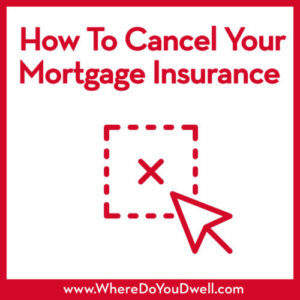 This cancellation can only happen automatically if you are current on all your payments required by the terms of the mortgage. Since HPA doesn’t cover MI cancellation using your home’s current value, your lender doesn’t have to automatically cancel your insurance based on this value. It’s in your hands, so to speak, to initiate this cancellation. That’s why you’ll need to plan ahead and keep apprised of the equity you’ve gained in your home through your mortgage payments and any appreciation in its value. Part of this is staying attuned to your neighborhood’s real estate market, especially if it’s on an upswing. You can always call us to receive a market analysis of your home’s current value. Your home’s LTV ratio based on a current appraisal is 80% or lower if it’s been more than 5 years since you closed on your loan. Remember, you must have owned your home for at least two years and you need to have paid on time throughout the history of your loan. Also, contact your lender for any specific requirements that they have since procedures can vary depending on lender and state. Please contact us if you have any questions about mortgage insurance not matter what stage you may be in — first-time buyer or current homeowner.